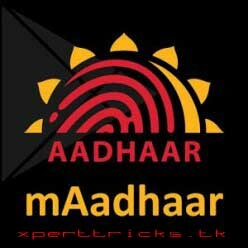 UIDAI has launched its mAadhaar app for android users,This app lets users carry their aadhaar card details on phone,The new mAadhaar app has made it possible for the users to carry their Demographic aadhaar card details on their smartphone,users with this app can carry a digital version of their Aadhaar EKYC ,anywhere they go,this app offers the convenience of carrying your aadhaar card details anywhere you go,without the need to carry your actual aadhaar card. mAadhaar app is currently available only for android users ,and may roll out for iOS platform soon,with this app UIDAI aims to reduce the user’s burden of carrying their aadhaar card while traveling outside their houses or anywhere, as mentioned earlier. Working of the mAadhaar app is simple,users initially need to download this app from the playstore,upon installation,login in the app using your aadhaar card details,post providing the details,users can download the aadhaar card details on their mobile phone. Under the app users also have the option to lock or unlock their biometrics data in order to secure the bio-metric authorization,The mAadhaar app also comes with Time based-One time password (TOTP) feature, which lets users generate a temporary password,which can be used instead of the SMS based OTP. Before users can login at the mAadhaar app ,it must be ensured that your mobile number is linked to your aadhaar card,in case a user doesn’t has his/her mobile number registered, it can be done by visiting the nearest aadhaar center,registration may take upto 10 days in order to get processed.